- The Last Resort Sugar Detox is for you. What we do works with every diet that requires quitting or reducing sugar. Paleo, Keto, South Beach, Atkins, Zone, Dukan, ALL vegan and vegetarian diets and more! In fact, we’ve developed quite a reputation for helping the “hard cases” from these diets...people who can do everything required to stick to them EXCEPT quitting sugar! Mike has been sugar free for over 30 years and helped thousands of folks on their journey to sugar freedom. His proudest accomplishment was to raise two sugar free children for the womb to age 6. He’ll show you exactly how to he and others have gain control of the sugar in their lives. He even shares his long personal struggle with it. Have you ever been frustrated by your inability to keep your promise to yourself - like you’re wrestling with your own mind - about quitting, reducing or detoxing from sugar? •Do you wake up in the morning and tell yourself that today is the day you’ll quit sugar - only to find yourself back in the sugar later in the day? Have you tried other sugar detoxes - only to have a few days of success followed by a binge? •Do you lay your head on the pillow at night and swear to yourself that - “tomorrow is the day you go the whole day without sugar”? •Has your weight just crept up on you? Year after year - even just a few pounds a year? •Has your skin lost that youthful glow? •What about your “digestion”? ...Issues there too? •With natural, steady weight loss with no crazy exercise. •How to handle the crazy emotions that surface as you change your diet. Learning to Be Human Again: Do you remember who you were, before the world told you who you should be? 5.0 out of 5 starsBest. Sugar. Detox. Book. I have read a ton of books about the evils of sugar. There certainly isn’t a shortage of books about quitting sugar and why we should not be consuming it in the first place. But honestly I have never read a better, more useful and comprehensive book on the subject than The Last Resort Sugar Detox Guide. This book is the first I’ve read that truly gives sugar the respect it deserves as a powerful addictive drug. The author’s own experience with addiction and expertise on sugar informs every part of this book. His knowledge and passion shine through each chapter. For as informative as The Last Resort Sugar Detox Guide is, it never feels “preachy”. It’s an easy read. You almost feel as though the author is casually speaking directly to you. There is no pretension in his writing style and the tremendous amount of information is imparted easily as though you are having a one on one conversation directly with the author. Michael Collins understands the pull of sugar. He guides you through every aspect of withdrawals and abstinence. He has been there and knows this journey. It’s almost uncanny how this book has predicted exactly how I’m feeling mentally, emotionally and physically at each point during this entire process. Freeing yourself from sugar addiction is not easy. It’s hard work. 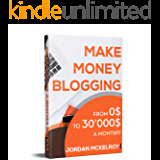 If you are willing to put in the effort then this book will be with you every step of the way. It is written with compassion and understanding. 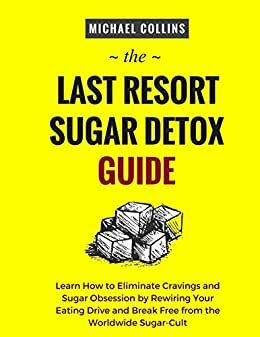 I think this will be the only sugar detox book you will ever need. 2.0 out of 5 starsformer addict trying to convince me ? This is the second book I bought/downloaded, written by a former alcohol addict. Both seem to think that everyone is addicted to sugar. May be some people are. May be not ! This one wants everyone to sign on to his website/facebook page. I do not do facebook and I do not want to give out my Email to someone who wants me to believe I am an addict. Yes, I like to eat some chocolate. Yes I like a piece of cake. Yes, I think too much sugar is not good for us. But I also believe that lots of meat is not good for us. Moderation guys. Not quit one addiction and then convince everyone they are addicted, too. The Last Resort Sugar Detox Guide should be read by everyone, particularly those who are unaware how destructive sugar is to their health! Michael Collins simply and clearly explains the science around sugar and how it affects the body. He then walks you through the process of removing sugar completely from your diet. He has been there and done that and does not “sugar coat” the difficulties you’ll face as you eliminate sugar from your diet and go through the inevitable withdrawal. It’s not easy but the results are worth the work. Don’t be put off by the word “addict”! Food manufacturers have ensured that we are all unsuspecting sugar addicts by including it in so many products as well as using different names to confuse us! This book is filled with important information and Michael has added a support system to assist you on your journey. I highly recommend this book. This is merely a data mining book, period! I barely got through the first chapter and there are numerous links to his website, for “free downloads and videos”, you know, AFTER you give this (I’m gonna be nice here!) man all your information. Name, age, location, phone number, etc. I’m sure this is all for the purposes of buying his program, that’ll really give you some information, no? Just another Moron selling Recycled information! I paid 99 cents for this book, about 98 cents to much!!! I have had a love/hate relationship with food all of my life. I fasted and binged and have tried to eat "normal" but have been unsuccessful. I know that I am addicted to sugar but cannot seem to muscle my way through quitting it. This book explains why I have not been successful and gives me the tools and hope to try again.